For sale: two sets from a new artisan from Australia -- Australian Private Reserve. Great performance, and amazing scents, but my wife doesn't like them. So they have to go. Coeur de Vert splash used once only and soap unused. Paid $60, yours for $45 CONUS shipped. CONUS only. PM me for Canada. I ordered both sets last week from Maggards (along with 2 other sets from same artisan). 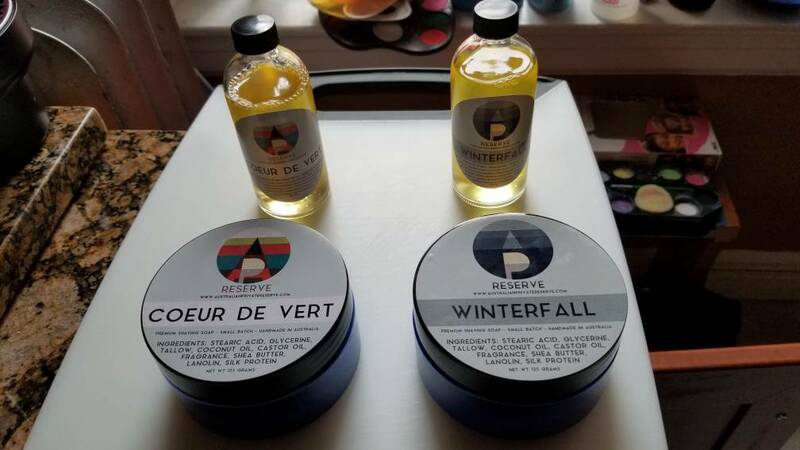 The 2 other scents (Fresca, Fougère Bourbon) are very nice.